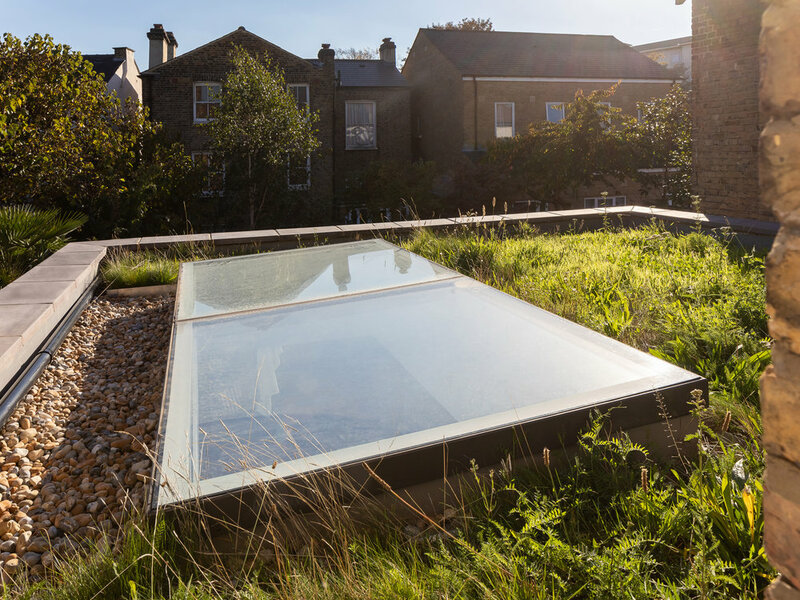 JTA were approached to replace an existing single storey extension to a large residential property in Brixton, where the client’s key concerns were to create a light, openable space which would encourage parties and gatherings, all achieved with a minimal environmental impact. Working closely with the client on and off-site, JTA were able to conceive a unique design centred around their needs, which incorporated themes of Art Deco interiors to align with an existing piece of joinery. The continuous use of Ketley quarry tiles throughout the design aid a seamless connection between the interior and exterior, complimented with bespoke full-height timber sliding doors, taking inspiration from those of The Barbican Estate. 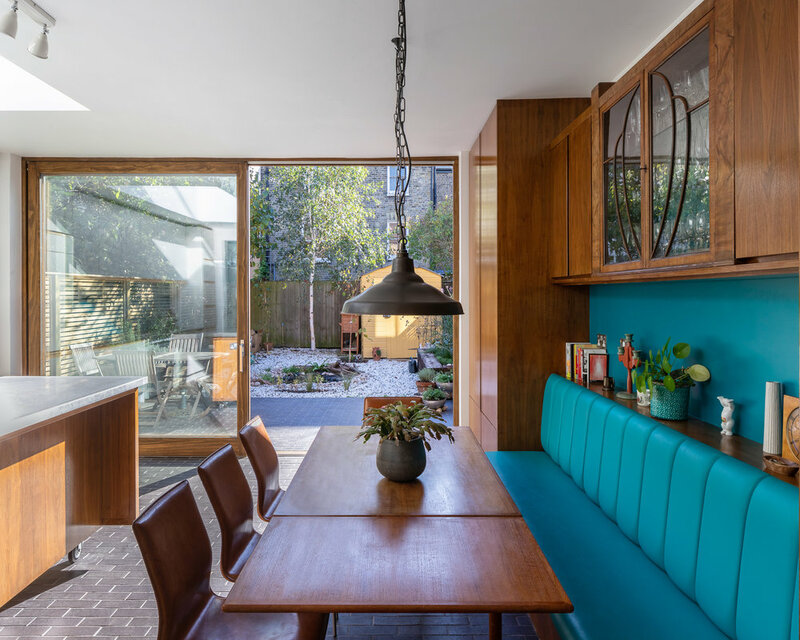 A multifaceted open-plan extension features a mobile unit, with disconnecting sockets, which acts as a buffer between the kitchen and dining areas. 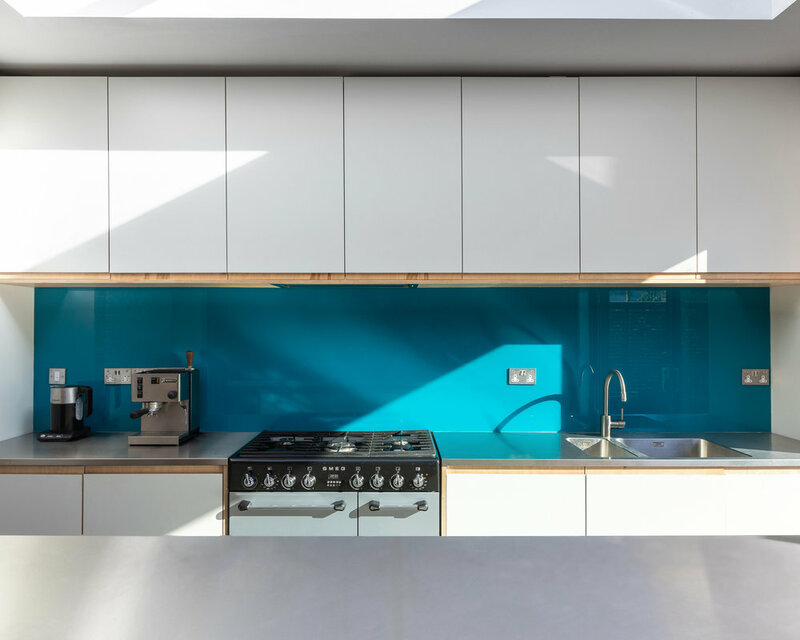 JTA collaborated with high quality joinery company MJC to subtly incorporate an existing family heirloom, which provides a contrast against the opposing white ply and stainless steel finishes in the kitchen area. 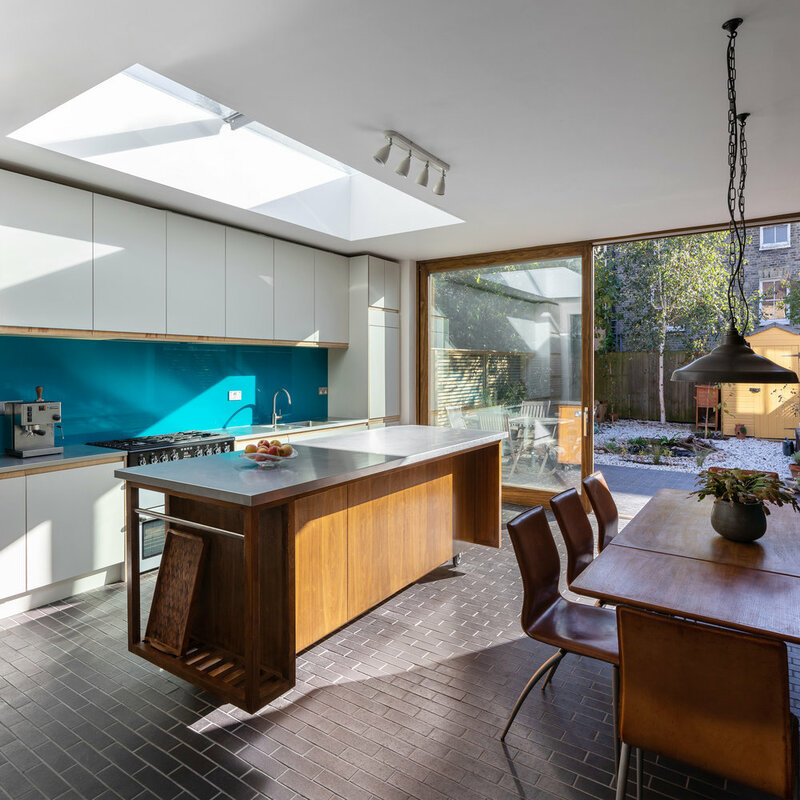 Sudbourne Road embraces a eclectic identity whilst maintaining design which is individual to the client, and as with all of our projects, the success of the work grew from understanding spatial hierarchy, embracing craftsmanship and adapting to the needs of the client.